jeff fisher – Welcome to Daly Dose Sports- Your dose of sports and sarcasm. 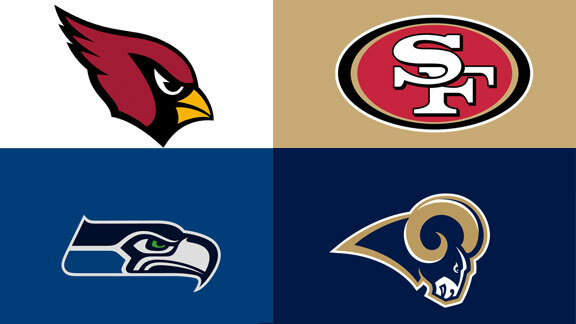 We now take a look at the NFC West one of the greatest divisions for defense in the NFL. And one that sets offense back 20 years. Seahawks QB Russell Wilson said recently that Recovery Water, the supposed miracle water he invests in, kept him from getting a concussion last year in the NFC Championship game. Perhaps he should have dunked Pete Carroll’s head in Recovery Water when he sent in that dumb pass play at the two yard line with the game on the line. In July head coach Bruce Arians hired Jen Welter as the first female coach ever in the NFL. Welter played 14 seasons of professional football and has a Master’s in sports psychology. She will work with the Cardinals inside linebackers as a coaching intern. Bringing on a female coach into the NFL coaching fraternity is very progressive. But they also have Carson Palmer as their quarterback, which is kind of regressive. In three seasons under head coach Jeff Fisher the Rams have gone 6-10, 7-9, and 7-8-1. This season to get over the hump they traded away QB Sam Bradford for QB Nick Foles. Oh well, they will be California’s problem again soon. The 49ers had the worst offseason in 49ers history. They lost their head coach Jim Harbaugh, OL Anthony Davis, DL Justin Smith, LB Patrick Willis, P Andy Lee, LB Chris Borland, WR Michael Crabtree, G Mike Iupati, CB Chris Culliver, CB Perrish Cox, and RB Frank Gore. Wow, they might have had the worst offseason in NFL history. Okay, maybe the worst offseason in pro sports history. Did you miss our NFC South Preview? Next up our AFC West Preview!